So this is what I would ask you, the people who read this: What annoys you? Don't tell me. Please don’t tell me. I only ask because someone asked me the other day if I knew what annoyed him. He actually decided to waste my time and his by saying: "Do you know what really annoys me?" Then he looked quizzically at me for a few seconds as though I might know. I know that I am supposed to say "no" or "what" but we never got to that. I replied: "Is it people asking you questions you had no hope in hell of answering, say like, do you know what annoys me? Is that it?" "Ok," I said, "I'll play. What annoys you, it had better be good or I'm going to beat you to death with my growing sense of disappointment." Turns out it was fish from the fishmonger that still had bones in it. He is probably still lying on the ground picking the bones of my disappointment out of his arse. No I don't know what annoys you, how could I? You're not wearing a T-shirt with the slogan 'corn beef really annoys me' on it. There is no clue in your features. I was not warned in advance that I may face a grilling about your personal preferences. Why not just say what really annoys you? "Corn beef really annoys me," there you said it and we can move on to discuss why. Why waste time? We only have a short while on this earth. The wife tells me it's just a language tool, conversational furniture or something. What the f**k is conversational furniture? It's the sort of phrase a modern art fan might come up with. Is it counter intuitive? I don't want to sneer but, no hang on, I really do. Conversational furniture, for crying out loud. Or I will just keep asking them. I will bring myself to my full tiny height and reel them off. I will say: “Is it dolphins, is it Wakefield, is it cheap carpets, lite instead of light, is it when people say aks instead of ask, cardinals, Weetabix, the Scottish Widows woman, Dave Lee Travis, chairs, products like "No one would believe it's anything but margarine? "Is it tomatoes, women, lifts, sausages, caramel shortcake, cheese, town halls, paper, football, soup, elbows, Chinese lanterns, is it bollox terms like counter intuitive or conversational furniture?" Then when their face stops squinting and I can see tears in their eyes, I will say: "No sorry I don't know, you better tell me." 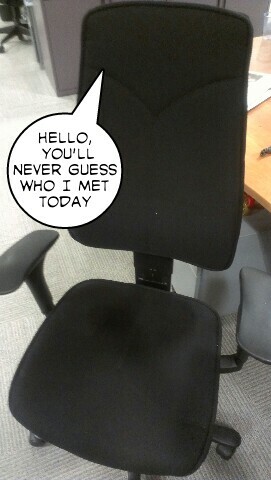 I pity the person who approaches me and says 'you'll never guess what happened to me today'. I will, even if it takes me all day. You see, they will actually say what annoyed them, leaving them in no doubt what it is. Victory will be mine. And you know when someone says "don't look back just now", I don't and I don't feel an overriding compulsion to do so. It annoys people that I don't even make the effort. Weird eh? Top rant. I enjoyed that. What annoys me is all those extra meaningless words we use...personally, really, in fact, actually, in my opinion (whose else could it possibly be? )and of course literally. 'I was literally petrified' - No you weren't, but it'd be a much more interesting story if you had been. I like the notion of a petrified person. When people say I think I often wonder if they do. Thanks keep reading. You don't like Chinese lanterns? You're mental, Chinese lanterns are attractive, lightweight and oriental.